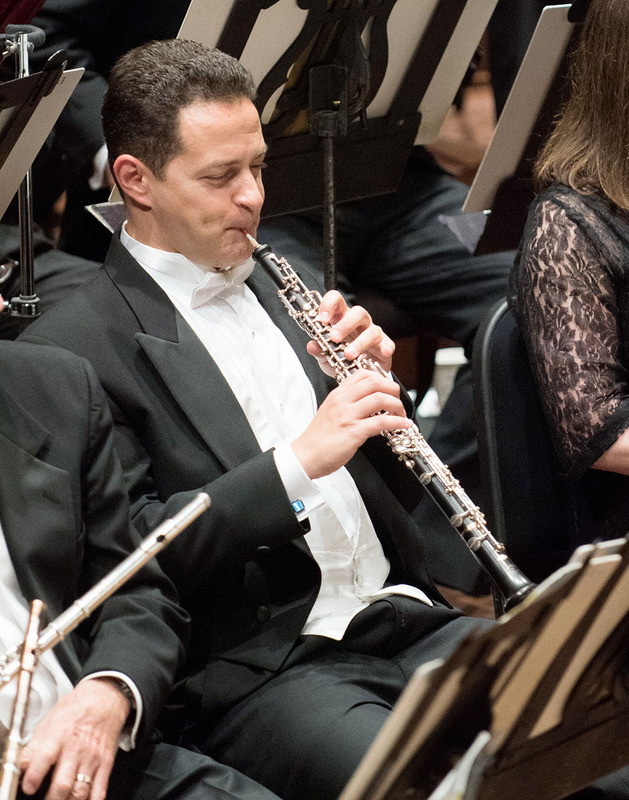 For SFS Principal Oboe Eugene Izotov the road has always led back to San Francisco. Just as an oboe solo can turn the emotional pitch of a musical work in dramatic new directions, this instrument and its master players have appeared at crucial junctures in Eugene Izotov’s life, underscoring, even initiating, the changes that have brought him to his current position. The oboe first called to Eugene Izotov when he was five years old and heard an oboist practicing. “Wow! I was just so taken with how expressive and beautiful it was.” Later, a friend sent him a bootleg recording of Swan Lake with oboe legend Ralph Gomberg playing the haunting solos. He’d been studying the oboe in earnest for a few years when another friend recorded Eugene’s own winning performance at a competition. Discouraged about his future prospects in the Soviet Union, he gave the tape to his mother and asked her to try to find him a teacher in America. “Through a magical series of events, somehow the tape ended up with Ralph Gomberg in Boston.” Gomberg agreed to teach Eugene, even sponsoring his student visa. Eugene Izotov has often reflected that he “grew up on the stage” of Davies Symphony Hall.